Hi-O Silver... Away!!! 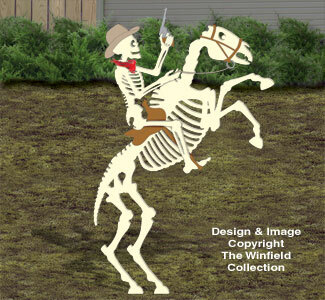 This ghoulish cowboy and his trusted horse are rearing up for some explosive action in your yard this Halloween.